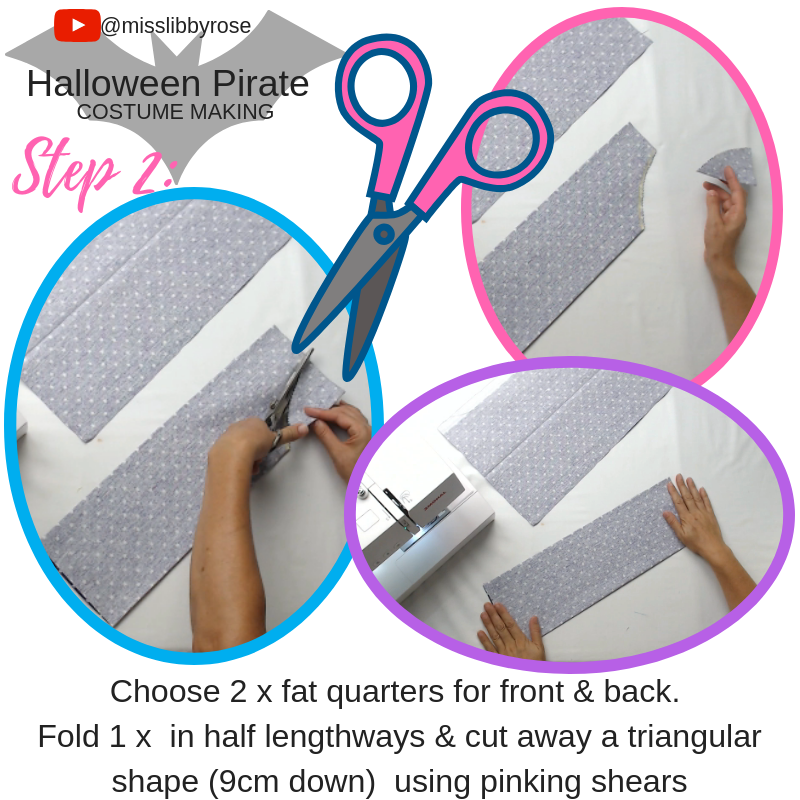 Top Tip: Always press / iron your chosen fat quarters out flat before starting your project, this gets out all the folds and ensures precise cutting! Step 1: Fold 1 x fat quarter in half lengthways and fold it in half again press the folds in place. Unfold ensuring you can clearly see those creased lines and cut in half along the halfway crease. 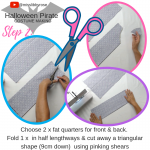 For the larger version: Fold one fat quarter in half lengthways for the front and the other fat quarter lengthways for the back. Step 2: Put aside one of the pieces for now and work with the other one. This will be the front. Fold back in half along the crease line. 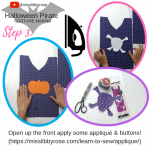 Step 4 sew: Use a template from: https://misslibbyrose.com/learn-to-sew/applique/ (or your own picture) to cut out fabric & heat n bond. 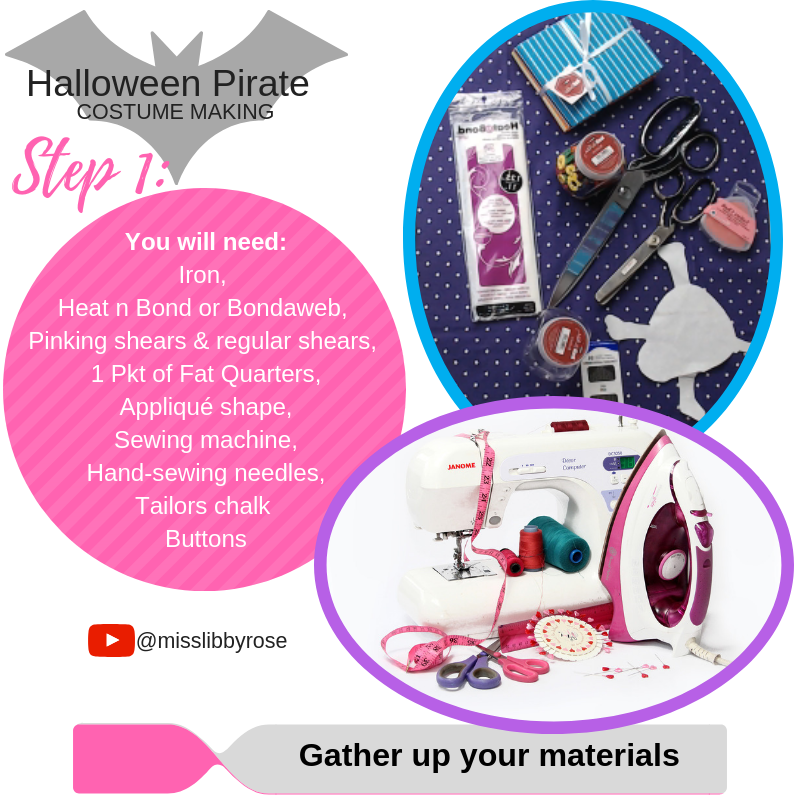 Follow the manufacturers instruction on the Heat n Bond packets and use your iron to heat and press your fabric applique in shape. If you are using the ‘no-sew’ heat n bond you are all set once it is heated down. 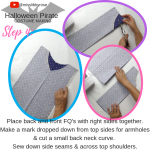 If you want to sew around your shape, set your machine to a tight zigzag and go ahead and sew in place. 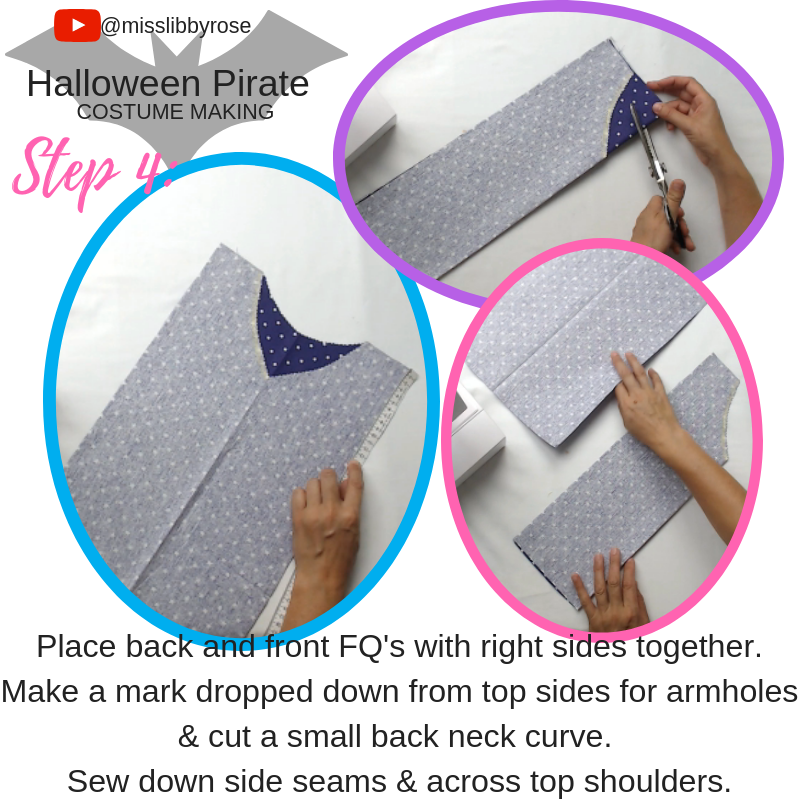 Step 4 no sew: Again, use a template from: https://misslibbyrose.com/learn-to-sew/applique/ (or your own picture) to cut out fabric & heat n bond (the red packet, no sew). 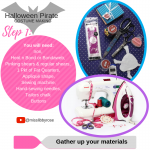 Follow the manufacturers instruction on the Heat n Bond packets and use your iron to heat and press your fabric applique in shape. Once it is heated in place its all done! 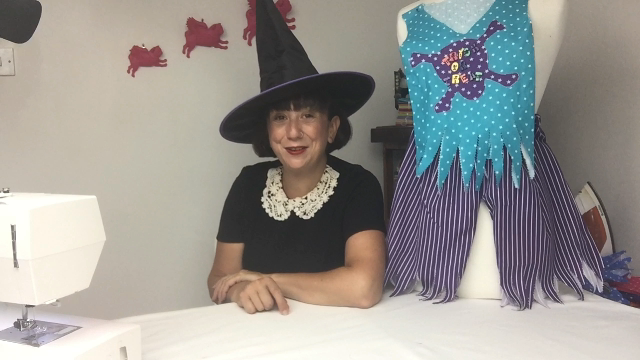 Step 5: Add buttons for eyes or other fun halloween habersashery on the applique. Step 6: Put the 2 x tabard shapes with right sides together. Sew up the tops (shoulders) that are located next to the scoop for the neck. Step 7: Last bit of sewing is to sew up the sides. To leave enough space for arm holes, measure from top of shoulder to uder arm pit so the wearer has enough space to get arms in anod out. More space is better. 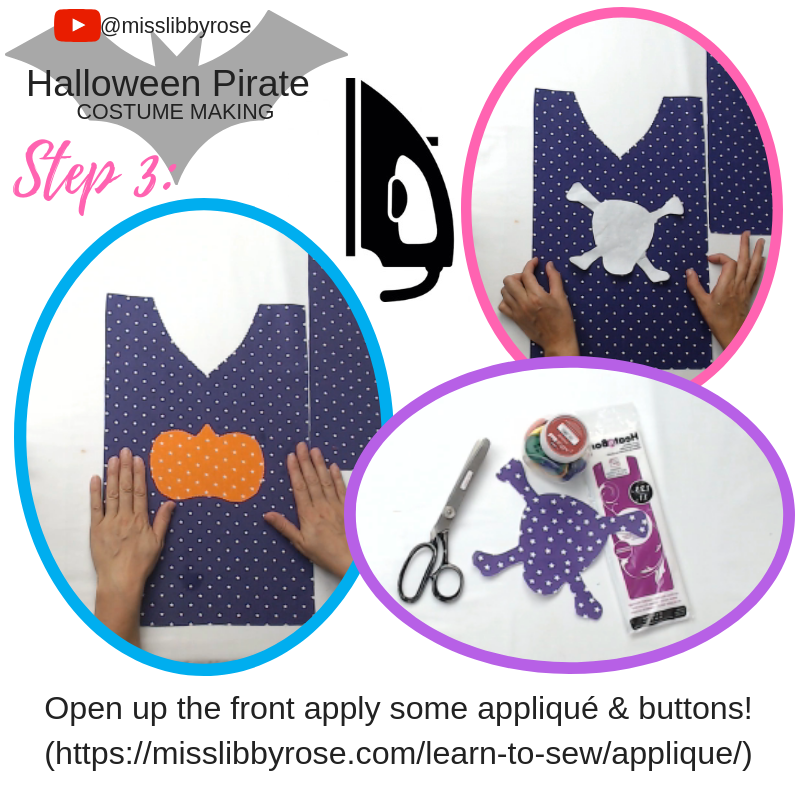 Do remember this is only a fun costume so you dont need to be exact. When I did mine, I left a space of 13cm. Step 8: Time for some fun with pinking shears! 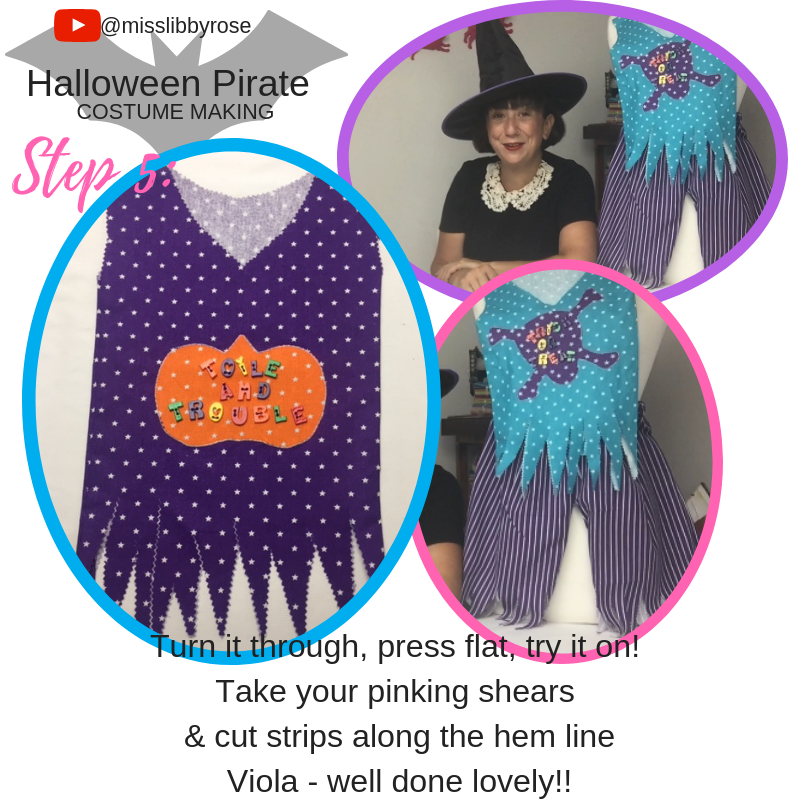 Go along the bottom hem, arms and snip snip snip! Create a jaggered edge to make it look very piratey!